Harley-Davidson has developed a bit of a reputation for a lack of innovation. Many of its bikes are filled with technologies that were state of the art several decades ago, but are now anachronisms of a bygone era. So you can imagine everyone's surprise when Harley-Davidson announced last week that they were going to be diving into the world of electric motorcycles. 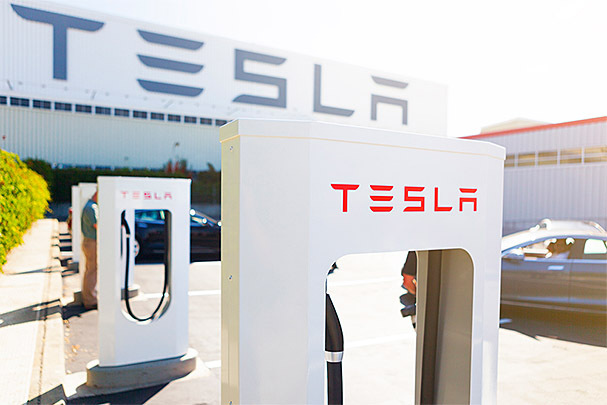 Called Project LiveWire, this initial effort will primarily be to gauge customer interest and determine if the market exists for a full-scale effort. The goal was more than to just create an electric version of one of Harley's existing bikes, but rather to create a whole new bike that marries the latest electric motorcycle technology with design traits that are classically H-D.
Out of sheer good fortune, I had the opportunity to go and check out the bike in-person and get not only some photos, but also a quick demo of it, although a test ride was not possible at the time. Jaguar has been on a tear of late. The F-Type, in either coupe or convertible form, is downright stunning. The sounds and sensations that one gets behind the wheel of the F-Type are some of most soul stirring available to the average driver. Of course, much of Jaguar's resurgence started not with a sports car, but rather with a sedan. In fact, it was this sedan, the XF, that put Jaguar back on the map. Introduced in 2008 as a 2009 model, the XF replaced the old, goofy looking S-Type as Jaguar's mid-size sedan. The stunning body lines, striking an athletic pose and wearing a seriously well-tailored interior, sprinkled with a dose of wizardry in the form of the pop-up shifter and acrobatic dash vents, made the Jaguar a popular car among journalists and enthusiasts alike. Now some five years later, is the Jaguar's mid-size sedan still competitive given that its competition has made some significant advances over the years? Frequently, we find ourselves in situations behind the wheel where a little courtesy can go a long way. Think about those situations where you are waiting to turn onto a side street and the backed up traffic traveling the other way makes a hole just big enough for you to slip through. Or perhaps you have been in one of those situations where you arrive at a stop sign at the same time as another driver and they wave you through. Another common one is when someone making a turn waves you around them when it is safe to pass. All of these are situations that many drivers come across with some regularity, but how often do we really think about just how those situations impact other drivers? Let's take a moment to break down some of those common courtesy situations and look at just how an oblivious but courteous driver can raise the blood pressure of everyone around them through their random act of kindness. This past weekend, I, along with what felt like every single person in the Boston metro area, headed down to Cape Cod to enjoy the official start of summer. Getting down there, we mapped the route and took advantage of the information that Google crowd sources through Waze to try to avoid the accidents and excessively heavy congestion. As grateful as I am for the access to the information, I cannot help but wonder if in the process of collecting the individual data points from users, smartphone apps like Waze might be inadvertently contributing to the very problem it was intended to help people avoid. Driving down the road, it was clear that many of the drivers on the road were busy looking down at their phones and not paying attention to the road. For example, the number of people camped out in the left lane at just under the speed limit, too busy gazing deeply into their phone to bother to check their rear-view mirror periodically. The same thing appeared to happen on the return trip with a number of people seemingly totally unaware of a fast approaching ambulance, lights and sirens blaring. This week, the NHTSA and the White House announced a new proposed transportation bill that would place limits on smartphone map apps that many users may utilize while behind the wheel. While it is too early to know exactly how they may go about actually implementing such regulations, it already has many smartphone hardware and software makers rather anxious. Automakers, on the other hand, are quickly getting behind such regulation. While at first glance, even the proposal of such regulation might seem like government overreach of the worst kind, but there might just be a silver lining to this situation. The smartphone and in-car infotainment industries have been on converging paths for sometime now. As smartphones have gotten more powerful, people have become ever more reliant upon them to replace older in-car systems such as CD players and even built-in navigation systems. For many drivers, the ability to play their music and access their phone book is now a prerequisite for purchasing a car. However, the in-car experience currently often requires actions that take the driver's attentions from the road, causing everything from minor inconvenience to major accidents. 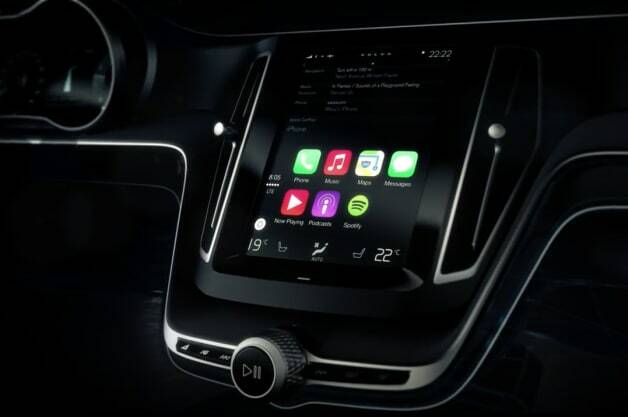 Perhaps this legislation, or even just the mere threat of it, will accelerate the pace of integration of smartphones as the primary device powering the in-car infotainment experience. Earlier this year, Apple announced the first major step towards full smartphone integration with its CarPlay standard. Google is hard at work on an integration for Android devices in collaboration with the Open Automotive Alliance. Taking advantage of the ever increasingly powerful smartphone devices that nearly all of us carry with us wherever we go anyway allows automakers to focus less on unsuccessfully trying to create an in-car infotainment experience (I'm looking at you, Cadillac) and instead focus on giving us great cars while allowing us to use the already powerful smartphone-bound applications we already have access to. While I have my reservations about allowing access to certain apps from behind the wheel, I can see the tremendous value in allowing drivers to make ever greater use of the always upgradeable device in our pockets instead of relying on something built into the car that will easily be outdated almost by the time it rolls off the dealer lot. After one of the longest winters I have ever experienced, it was nice to finally get the bike out again and enjoy the burgeoning warmth of a New England spring. Since the big Beemer had gotten a full service right before it was put away for winter, I just needed to take the battery off the tender and hook everything back up. Without any hesitation, the bike fired up and settled into a smooth idle. Relatively fresh Michelin tires meant that the first rides this season were very tentative, especially given how much dirt and debris littered the roads. This spring has also been unusually wet, with regular thunderstorms and even the odd snow flurry well into late March and early April. That meant several of my spring rides resulted in my getting caught in seriously sudden downpours. Still, in full gear from head-to-toe, the water stays outside, I stay dry, and the bike gets a much needed bath. The full fairings do an excellent job keeping me from getting drenched in the first place and channel away most of the wind and water, making even the worst storm tolerable. However, all that extra precipitation has resulted in an unusually prodigious spring, causing everything to be coated in a layer of fine green pollen. Still, despite all of this, the bike has been flawless, not even so much as a hiccup. This year, my wife and I started collecting our food scraps for composting, a decision we made because we were cooking at home a lot more, generating a ton of compostable waste that just felt like it could be put to better use than be thrown in the trash. One of my criteria was that I wanted the bin that we used to collect and store the food scraps to be able to fit in the top case for the Beemer, allowing me to take the bike to our local compost drop-off point. It just goes to show that with a little thinking ahead, motorcycles can be incredibly utilitarian, despite their reputation for being totally impractical. Remember a time when the words "entry-level luxury" were muttered, images of the Mercedes Benz C-Class or the BMW 3-Series came to mind? That actually was not all that long ago, but because our cars continue to grow in size, what was once considered "entry-level" and "compact" has now grown to "mid-size." The prices of these cars have also followed along with their size, growing with each successive generation. So what is a luxury car maker to do in order to get young people interested in their brands? Introduce a whole new entry-level luxury class. Why these three? 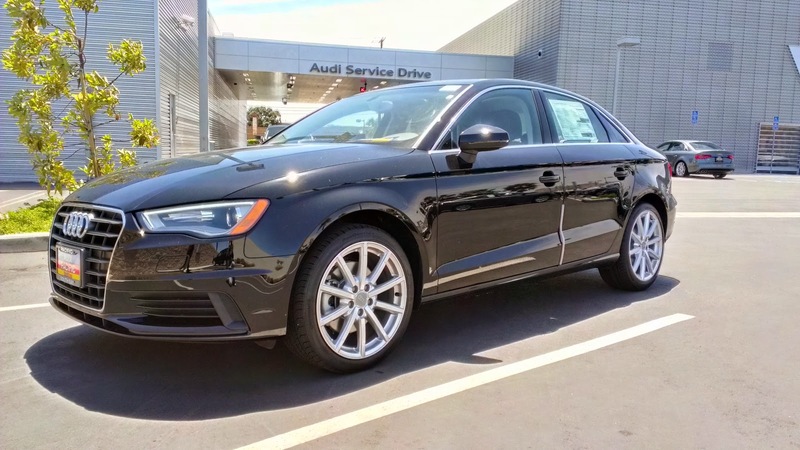 These particular cars have something that not many of the other entry-luxury cars have: underpinnings that belong to a cheaper vehicle from a parent brand. Entry-level luxury cars are all about providing luxury for a lower starting price, and what is a better way to cut costs than to use an existing vehicle's architecture? 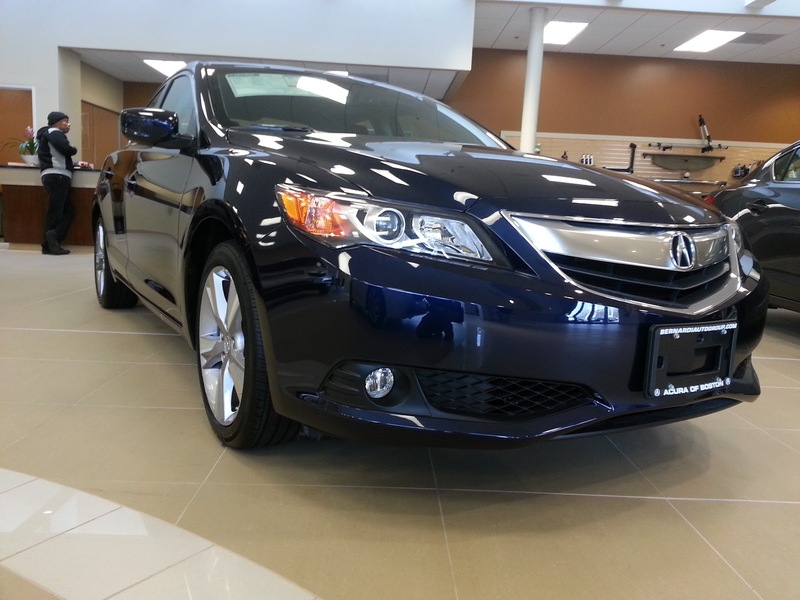 The Acura ILX shares its platform with the Honda Civic, the Audi A3 shares its platform with the Volkswagen Golf, and the Buick Verano shares its platform with the Chevrolet Cruze. Underpinnings aside, which of these three shared platform vehicles offers the best luxury bang for the buck? For the longest time, Buick held a reputation of selling cars to people who wanted a car that was plush and easy to drive. Because of what their cars were designed to do, most Buick buyers tended to be much older, or from foreign countries that idolize big, hulking, plush American cars. Prior to test driving this vehicle, my only experience with a Buick came in the form of my dad's early 90s Buick LeSaber. I remember that car being a big, spongy slow car that my dad seemed to adore. The current Buick wants to shed its old image of sleepy and boring cars. 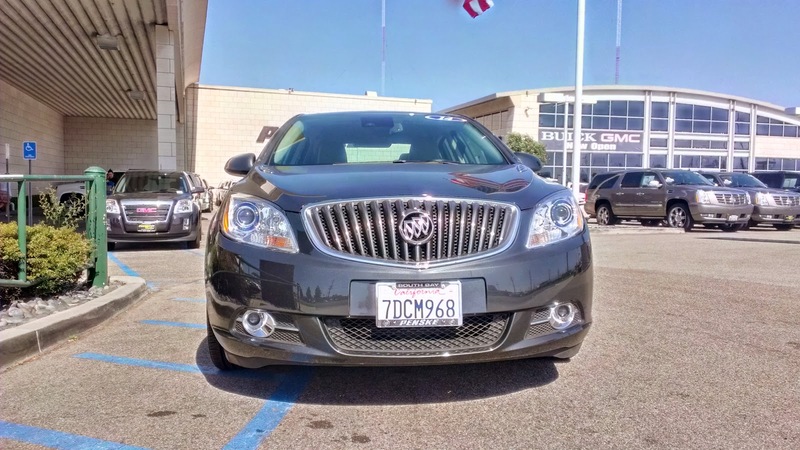 Instead of the geriatric approved vehicles of its past, Buick has been hard at work making more modern looking vehicles that drive as well as its luxury competition. 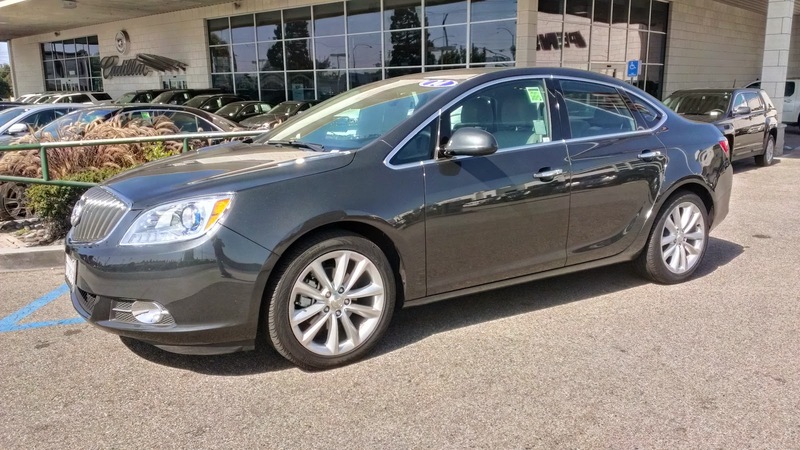 Buick's all new Verano is part of the brand's rebirth as a modern luxury car manufacturer. Positioned to compete in the entry-level luxury class (which includes vehicles like the Acura ILX, Audi A3, and Mercedes Benz CLA250), the Verano certainly has some stiff competition. While their competition is fairly well established, I think Buick's biggest challenge is not with other manufacturers, but with itself and whether or not they can truly shed their "old people" car image. In the first post of our new ongoing series, Daydreams gives us the opportunity to examine cars that struck a cord with us as children, only to discover as adults that they were not all that we imagined. West Brother kicks us off with one of the more imaginative cars from his childhood and shares his thoughts on it now. If you are interested in contributing to the series as a guest, please contact us. As I was driving back home from work one evening, a bright yellow car caught my attention. As it got closer and made its left turn, its shape looked strikingly familiar. The hot-rod like profile, open-wheel race car style front wheels, and soft convertible top seemed to drum up memories from when I was much younger. It finally dawned on me as I began to drive away: it was a Plymouth Prowler. I had not seen one of these cars in years! When I was a kid, I did not know much about cars. I always thought they just looked cool. At the time, the Plymouth Prowler was the pinnacle of cool to me, with its outrageous shape and unique styling that drew on the classic American hot rods. The first time I encountered one of these machines, I thought to myself, "man, when I get my driver's license, this is the car I want to drive! I bet I would look so cool in this thing!" As I grew up, and my knowledge of cars began to expand, my interests moved on to other vehicles. It was not until I entered high school and began understanding the inner workings of automobiles, power-to-weight ratios, and other important automotive measurements that I realized the Prowler, despite its cool looks, was a real dog. 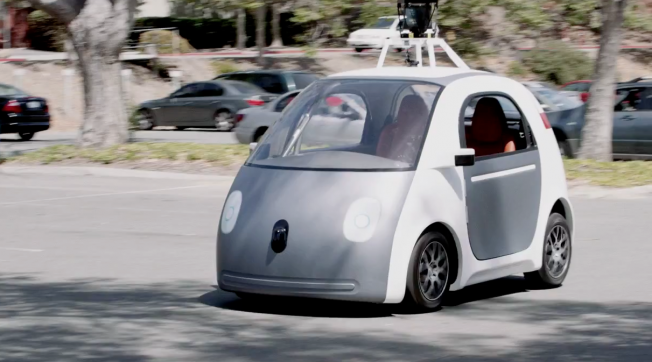 Much has been made this week about the news from Google that the self-driving car is advancing along at a right steady pace. In fact, they showed footage of people giving their latest demonstrator, a rather cute little thing with a a slightly doe-eyed face on it and has no steering wheel or pedals, a spin. Many people, particularly car enthusiasts, lament it as the first nail in the coffin of the American car culture. Others whinged at the potential legal ramifications and debated the issue of legal liability in case the self-driving car was involved in an accident. Whatever the reason, people saw lots of negatives in this technology instead of seeing the potential positives this has for just about every possible road user.